BATAVIA, OHIO (July 2018) – The stars of the Lucas Oil Late Model Dirt Series are approaching one of their toughest stretches of the season as they head to the Midwest. 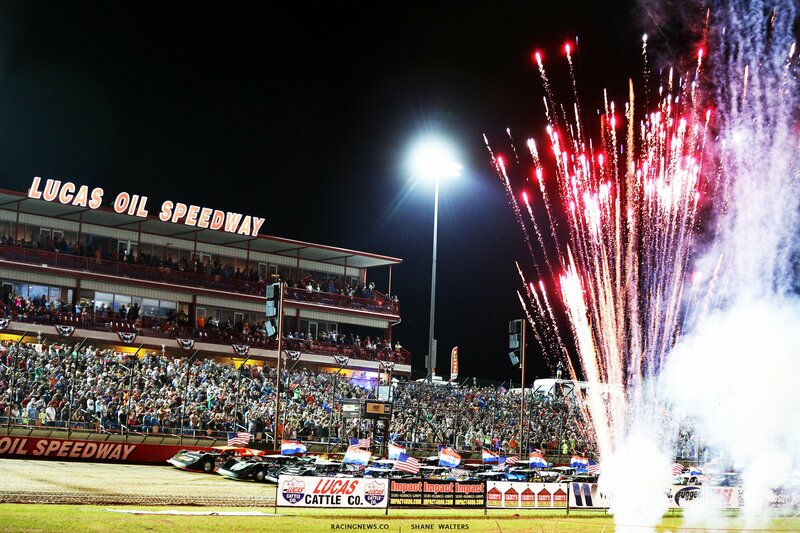 July 13th: Tri-City Speedway in Granite City, Ill. will host the Lucas Oil Late Model Dirt Series for the second time this season on Friday, July 13th. The action-packed event includes a complete show of: Miller Welders Time Trials, Heat Races, B-Mains, and a 50-lap, $12,000-to-win main event. The Open Wheel Modifieds and B-Modifieds will also be in action on Friday, both chasing a $1,000 top prize. Josh Richards returns as the defending NAPA Know How 50 Champion, after dominating the event in 2017. Richards fought off a late-race challenge by Tim McCreadie, who came home in second place, after starting in seventh. Don O’Neal charged to a third-place finish, with Brian Shirley edging out Jimmy Owens on the final lap to finish fourth. For more information, visit: www.tricityspeedway.net. NAPA Auto Parts serves auto service professionals, do-it-yourselfers, and everyday drivers with quality parts and supplies to keep cars, trucks, and equipment performing safely and efficiently. In the U.S., NAPA includes over 60 distribution centers, 15,000 NAPA AutoCare Centers, and more than 6,000 independently-owned and company-owned stores. NAPA carries an extensive inventory of more than 400,000 parts for automotive and industrial applications. For more information, or to find a location near you, visit: www.napaonline.com. July 14th: The festivities will shift to Lucas Oil Speedway in Wheatland, Mo. on Saturday for the 12th Annual Citizens Memorial Healthcare Diamond Nationals. The competitors of the Lucas Oil Late Model Dirt Series and the Lucas Oil MLRA come together to chase the $12,000 winner’s share. The winner also receives a 10 karat total weight commemorative Diamond Nationals ring. The event will be a full program of Miller Welders Time Trials, Heat Races, B-Mains, and a 50-lap main event. In addition, the Open Wheel Modifieds will be in action with a full program, capped by a $1,000-to-win feature. In 2017, Josh Richards completed the weekend sweep with his first-ever victory at Lucas Oil Speedway. Richards snared the lead from Jimmy Owens with just eight laps remaining and went unchallenged from there for the win. Owens later suffered mechanical issues that resulted in a fifteenth place finish. Don O’Neal finished second, followed by Darrell Lanigan, Hudson O’Neal, and Jesse Stovall. For tickets and more information, visit: www.lucasoilspeedway.com. With more than thirty family medicine and specialty clinics, Citizens Memorial Healthcare delivers personal, collaborate, and multi-disciplinary care, using advanced technology, treating a wide range of conditions – from common to more complex issues. CMH is recognized nationally for innovation and excellence, receiving the 2010 and 2014 prestigious Missouri Quality Award, the Davies Award of Excellence, and named one of the Top 10 Rural Hospitals in America. CMH was also the recipient of the Healthgrades 2015 Patient Safety Excellence Award. More information is available at: www.citizensmemorial.com. Directions: I-270 to exit 4, then 0.5 mile south on SR 203. Directions: 0.2 mile south of US 54 on SR 83, then east.